Social media has made a huge impact on how we interact with one another. If you want to show your friends that you go a new puppy, you post it’s cute little face all over the internet. If you ate a delicious meal, you rate that restaurant and give others insight on what to expect. If you want to find out how to change a tire, you can look up a video of someone walking you through the process step-by-step. It’s no surprise that social media has changed the ways we connect with one another. We are no longer having to meet face to face to see all of Susan’s vacation photos, we just scroll through her online library and let her know which ones we like the most. There has also been a lot of negative feedback about this new shift of communicating. Even though we no longer have to meet physically with people to connect. We are able to keep tabs on many more of our loved ones through these sites, and it may even lead to a phone call to hear more about their adventures or new baby. How is it helpful to my business? Social media has changed the way advertising and marketing are conducted as well. Before, companies would post an ad in the local newspaper or run a flashy commercial between General Hospital episodes. Now, more companies are investing in the upkeep of their social media sites because it has become a huge part of how their audience will find them, learn more about the company/product and this will potentially lead to a sale. The new age of social media is allowing companies and consumers to communicate directly to one another. If we want to let a company know that we love their newest snowboard, we can hop over to their Instagram and comment to let them know how amazing their product is. The company can then respond back to our comment, opening up the line of communication. We can also post a picture of our new snowboard and tag the companies profile, providing free marketing for the company. Maintaining and engaging on social media sites will help your consumers feel more comfortable with your company. Trust will ultimately lead to more sales, and satisfaction will lead to these consumers spreading the word about your amazing company. What sites should I post on? Depends. Every brand is different. If you are a yoga instructor looking to branch into the online world, you may use sites like Youtube, SoundCloud and Wordpress to get your content into the hands of the right audience. If you are a comedian, you may find that places like Twitter, Instagram and Snapchat are the places that fit your content and audience the best. Every businesses and brand are uniquely different. How you market them will be uniquely different as well. Think about your target audience (the people you want to reach), your competitors and your favorite places to hang out online. Which places would feature your message the best? Which places will get your audience to engage the most? Where can you spend oodles of time on without getting bored? That is your space. It is 100% up to you. Some people will say that posting every day is crucial. Some agree that 3 times a week is enough. Others reveal their content once a week. Make a schedule that is easy for your business to follow along with, something that feels doable. With all the crazy algorithms changing from day-to-day, it’s hard to keep up. One thing that is for certain, social media likes when you are social. That does not mean posting every day and logging out. Hangout on there for a while. Comment on other people’s post, follow new people, explore the world of hashtags. The more you engage with the online communities, the more your content gets noticed. Making sure consumers know how to get to your website is also important. Place links to your website on all of your various social media platforms to ensure that if your consumers are looking to gain more information about your company, they can find it with ease. Make your social sites connect to one another as well. The more information your consumer can get on your company, the more likely they are willing to trust what you are offering them. 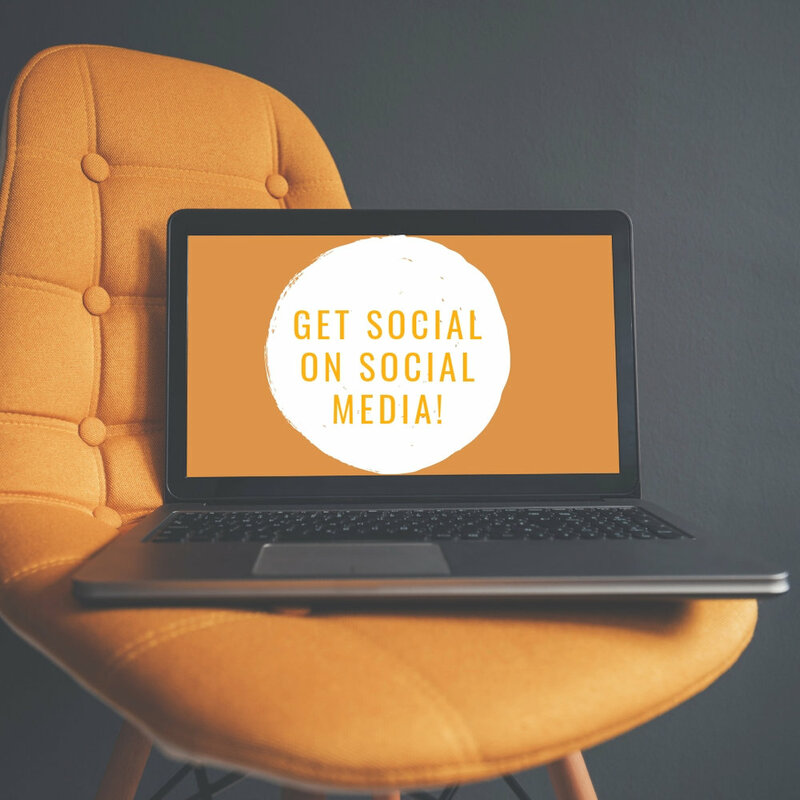 It’s time to get your social butterfly on!